A Barnhart China Painting Workshop taught by artist Paula White was held at Coastal Bend College. Workshop attendees learned how to paint stylized poppies onto porcelain ware. 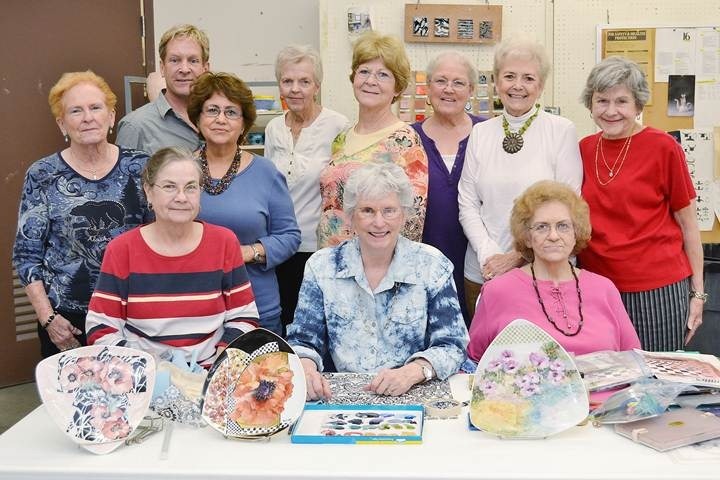 Painters are, seated from left, Gayle Hollan of George West; Artist, Paula White of Oklahoma City, Okla.; Peggy Hogan of Victoria; and standing, from left, Mary Ann Wheeler of Tilden; Mark Parsons of Beeville; Lorena Bastian of Victoria; Claudia Nelson of Beeville; Wilma Piwetz of Meyersville; Beverly Neal of Goliad; Dorothy Harter of Edna; and Program Coordinator, Shirley Kibler of Beeville. For more information about upcoming Barnhart Workshops, please contact Jayne Duryea at (361) 354-2322 or via email at duryeaj@coastalbend.edu.